Funny And Cute Animals | Cute Pelican | Here we have something about Cute Pelican, There are more than half a dozen species of Pelicans, but all of them have the famous throat pouch for which the birds are best known. These large birds use their elastic pouches to catch fish—though different species use it in different ways. 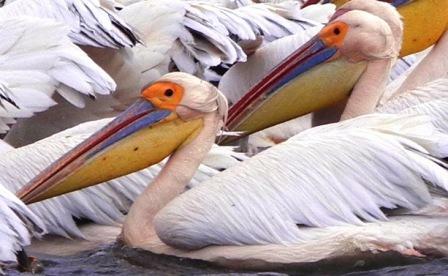 Many pelicans fish by swimming in cooperative groups. They may form a line or a "U" shape and drive fish into shallow water by beating their wings on the surface. When fish congregate in the shallows, the pelicans simply scoop them up. The brown pelican, on the other hand, dives on fish (usually a type of herring called menhaden) from above and snares them in its bill. Pelicans do not store fish in their pouch, but simply use it to catch them and then tip it back to drain out water and swallow the fish immediately. 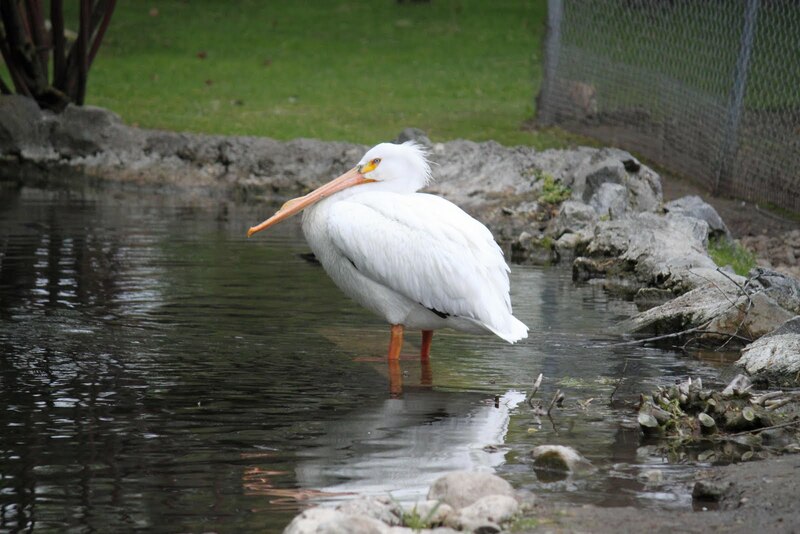 The American white pelican can hold some 3 gallons (11 1/2 liters) of water in its bill. 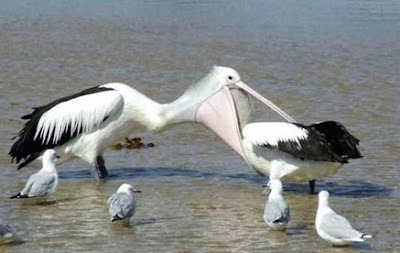 Young pelicans feed by sticking their bills into their parents' throats to retrieve food. 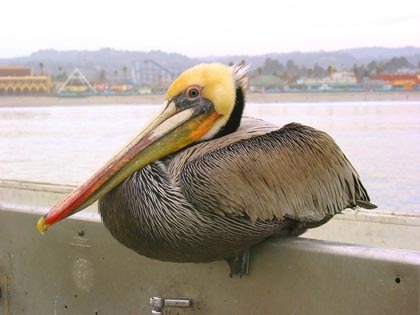 Pelicans are found on many of the world's coastlines and also along lakes and rivers. They are social birds and typically travel in flocks, often strung out in a line. They also breed in groups called colonies, which typically gather on islands. 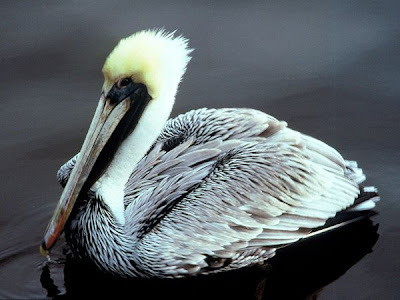 In North America, the brown pelican is endangered, but populations are recovering to some extent. 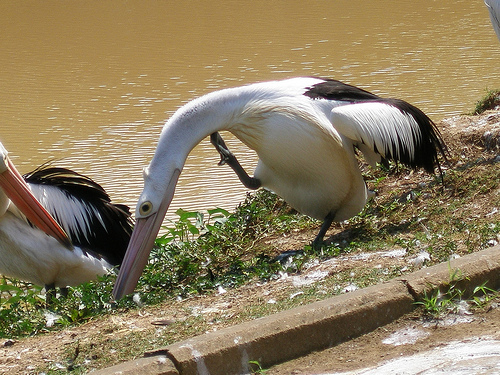 The sea birds were devastated by chemical pesticides, such as DDT, which damaged the eggs of pelicans and many other species.